randymajors.com: What do courthouses, cemeteries, churches, and libraries have in common? Very cool (and useful). Thanks, Randy! 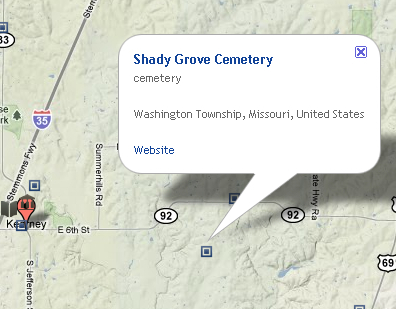 very cool indeed, as far as the linking, I would think findagrave would be the best. I haven't found any other site with as consistent a list of cemeteries. Hi, thanks for the positive remarks! 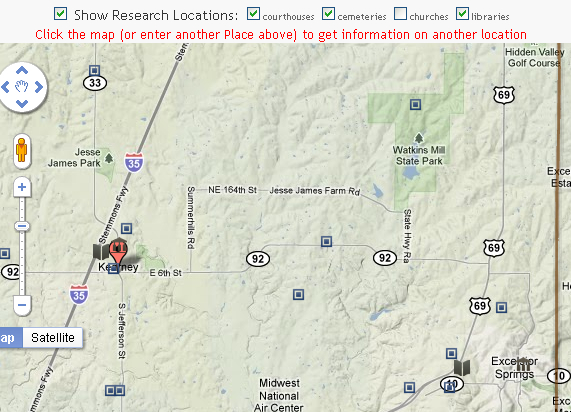 I've added a Find A Grave link to the cemetery icons (little blue squares on the map). 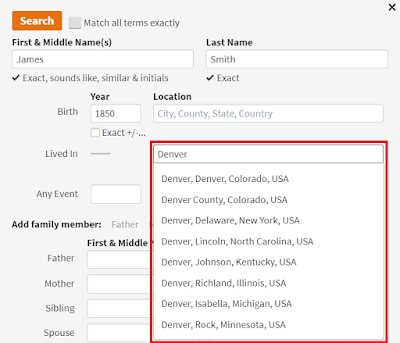 It's not 100% perfect because it's doing a name lookup, and names aren't always exactly the same between Google and Find A Grave. But it seems to work 90% of the time. Play around with it and let me know your thoughts! Yet another great innovative idea Randy, and one we will all find very useful indeed. Looking forward to when you branch out into Wales! The website epodunk.com has long been locating cemeteries in the USA on googlemaps, by County. It solicits and executes user amendments and additions. It shows many cemeteries not listed on findagrave.com. Yes, epodunk and some other grave-finding websites also have cemeteries shown on Google Maps. Not claiming that my tool is unique in that respect. The angle for me is the display of historical county boundaries, with the thinking being that once you see the counties and the area you're interested in on the map, why not make it easy by enabling the user to see courthouses, libraries, churches, and cemeteries that may be useful in their research, and to link through to a Google listing of that place. To be clear, I get the courthouses, libraries, churches, and cemeteries all from Google Places, not Find A Grave (the Find A Grave link is simply there for convenience). I hope this clarification is helpful.